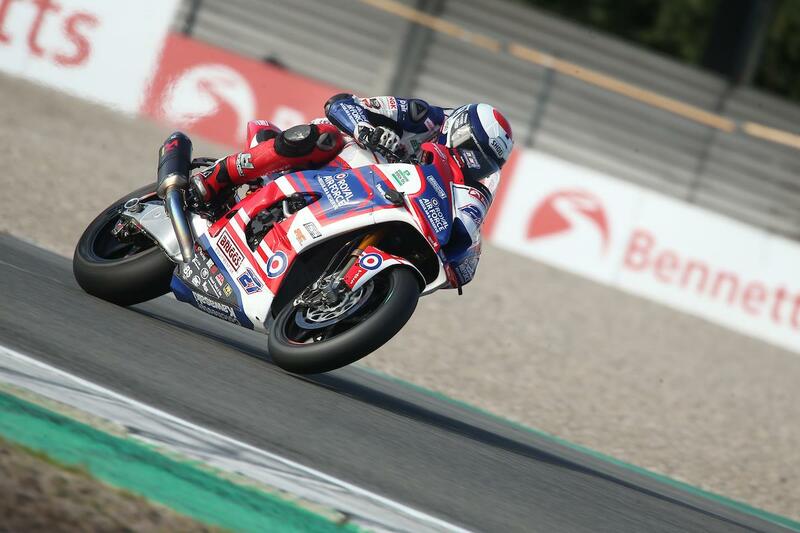 Jake Dixon will start on pole position for tomorrow’s opening Bennetts British Superbike race after setting the quickest ever BSB lap of Assen in this afternoon’s qualifying session. The RAF Regular and Reserves Kawasaki rider was on it from the off, topping all three qualifying sessions with times quicker than Shane Byrne’s 2016 pole of 1’35.724 – the previous quickest ever BSB lap of Assen. While the championship challenger wasn’t quite able to match his Q2 time of 1’35.579 in Q3, his 1’35.639 was just enough to secure pole position by 0.004 seconds from McAMS Yamaha Tarran Mackenzie. Series leader Leon Haslam completes the front row. The top three were in a class of their own with no one else able to break into the 1’35s. Row two is headed by the Be Wiser Ducati of Glenn Irwin, who beat Tommy Bridewell to fourth place while Josh Brookes starts sixth. Christian Iddon fought through the pain of his broken collarbone to secure a seventh placed start while the Hondas of Jason O’Halloran and Dan Linfoot completing the Q3 contenders. Narrowly missing out on Q3 was Peter Hickman, who starts tenth ahead of Gino Rea who crashed out at the end of the Q2 session. Showdown contender Bradley Ray endured a nightmare and will start the first race 16th, while Danny Buchan crashed out in Q1 meaning he was unable to participate in Q2 and will start 18th.